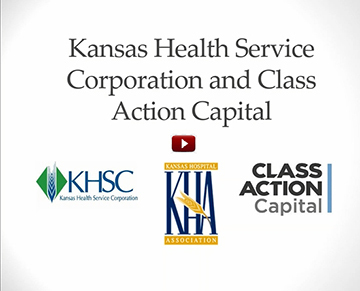 KHSC has collaborated with Class Action Capital, a leading settlement claims management company, to help KHA members recover refunds from specific Class Action Settlements. There are a number of ongoing settlement opportunities. Sign up is easy, and it only takes a couple of minutes. Just go to https://www.classactioncapital.com/cases/kha. Optical Disc Drive Settlement ($204,000,000): This settlement, with a closing deadline of June 28, 2019, will reimburse any company in an eligible state (one of which is Kansas) who purchased computers or laptops, for internal use and not resale, inclusive of an Optical Disc Drive between January 2003 and December 2008. Lithium Ion Battery Settlement ($106,950,000): This settlement, similar to the ODD settlement, will reimburse any company located in the United States who purchased products inclusive of a lithium ion battery including laptops, cell phones, tablet devices and power tools for internal use between January 2000 and May 2011. The deadline to file a claim is Jan. 19, 2019. Blood Reagents Antitrust Settlement ($41,500,000): The Blood Reagents Antitrust Settlement will reimburse persons and entities that purchased Traditional Blood Reagents in the United States directly from either of the Defendants, Ortho-Clinical Diagnostics, Inc., or Immucor, Inc., during the period from Nov. 4, 2000, through Oct. 19, 2015. Cathode Ray Tube Litigation (33,000,000): This litigation will reimburse all persons and entities who from indirectly purchased a CRT product for their own use and not for resale between March 1, 1995, through Nov. 25, 2007. Payment Card Interchange Fee Settlement ($5.56 - $6.26 billion): This settlement alleges VISA, MasterCard and their issuing banks charged excessive interchange fees and put rules in place that prevented merchants from accepting other forms of payment that would have been less expensive. Your facility is likely eligible if it accepted VISA or MasterCard credit or debit cards as a form of payment beginning Jan. 1, 2004. Class Action Capital's pricing model is simple in that they work on a contingency basis whereby they receive a percentage of their client's financial recovery. If you have questions, please feel free to contact Joshua Kerstein at (914) 200-0066 or Josh@ClassActionCapital.com. DISCLAIMER: Class Action Capital's fee is a percentage of your financial recovery, as stated on the Service Agreement you sign. You do not have to hire a third-party claims consultant and are entitled to file your claim on your own without incurring any fee. Class Action Capital is not a law firm and does not give legal advice. Class Action Capital is not associated with the class administrator, the court, class counsel or any other official parties. For the Payment Card Settlement only: Plaintiffs in the Rule 23(b)(3) Class (Money Damages Class) have reached a proposed settlement in this action. Materials reflecting this proposed settlement were filed Sept. 18, 2018, with the Court. No claim forms are available at this time, and no claims-filing deadline exists. If the settlement is approved, no-cost assistance will be available from the Class Administrator and Class Counsel during any claims-filing period. No one is required to sign up with any third-party service in order to participate in any settlement. For additional information regarding the status of the litigation, interested persons may visit www.paymentcardsettlement.com, the Court-approved website for this case.